Earlier in the week, US President Donald Trump said via Twitter that it was time for the United States to "fully recognize Israel's Sovereignty over the Golan Heights, which is of critical strategic and security importance to the State of Israel and regional stability." Donald Trump will sign a decree, recognizing Israel's sovereignty over the Golan Heights on Monday, 25 March, Israel's Minister of Foreign Affairs Yisrael Katz said Sunday as quoted by Reuters. 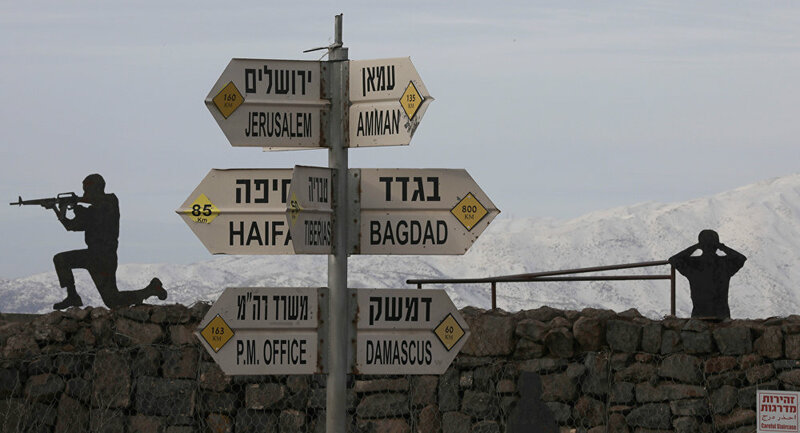 On March 12, US Senator Lindsey Graham told Benjamin Netanyahu that he would push the United States to formally recognise Israel's sovereignty over the Golan Heights, which were seized from Syria during the 1967 Six-Day War. A week later, US President Donald Trump wrote on Twitter that it was high time the US recognised Israel's sovereignty over the Golan Heights. Israeli Prime Minister Benjamin Netanyahu responded to Trump's statement by thanking the US president for his support. Responding to the US move, Secretary-General of the Arab League Ahmed Aboul Gheit announced that the league fully supported Syrian sovereignty over the territory.